If you are in touch with your “handyman” side, you would know how utterly natural it is to have a bunch of tools and equipment in your shed. Moreover, you would also know how having the best socket organizer can be very helpful for you. What is the use of a socket organizer? The Hansen Global 9200 socket storage tray is my best pick because of its reputable durability. Not to mention, it also comes with a 6-piece set which could cater to all of your socket storage needs. In many online sites, this socket storage tray is one of the best regarding reviews. Mostly, this is because of it’s ABS plastic material. This material is high-quality plastic that prevents oil and gas residue from sticking to the stuff. That is one of the most problematic features of many socket organizers. Since we use sockets for all sorts of dirty work, it can make the organizer messy. Besides its material and durability, it also has durable pot bases. These pot bases allow the 9200 to withstand a lot of weight, making it capable of storing heavy duty sockets too. Olsa Tools could’ve easily been my best pick for this list. That’s because it’s on par with the Hansen Global regarding durability and convenience. However, it gets edged out in my opinion because of its storage capacity. 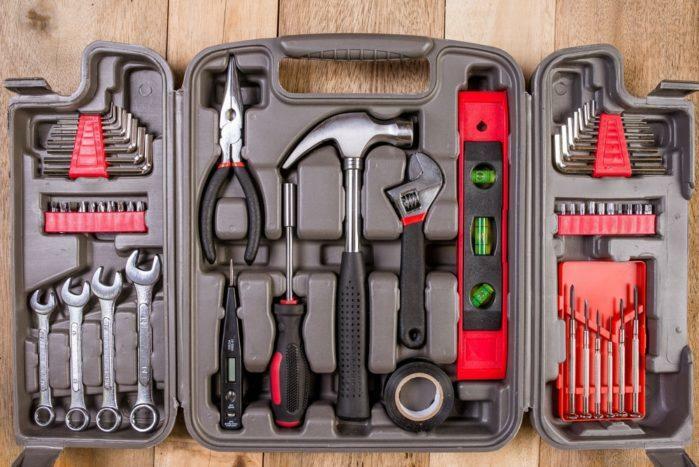 Compared to the Hansen Global’s 6-piece set, you only get half with Olsa Tools socket organizer. Still, it has a capacity of 48 sockets, with each piece accommodating 16 plugs. For the average homeowner, that’s already a lot. Olsa Tools also does an excellent job in constructing this socket organizer. It’s mainly made out of high-quality aluminum, which is great considering you get this at an affordable price. Further, it also has spring-loaded bearings to keep your sockets in place. The ARES 70201 comes in next as my budget pick because of its super affordable price. In case you’re wondering, you won’t need to spend upwards 20 US dollars with this organizer. In fact, you can get it for as low as 13 US dollars alone. The catch here is simple, if you don’t have a lot of sockets, then this one’s for you. Instead of the 6-piece and 3-piece products, this one only has one piece. 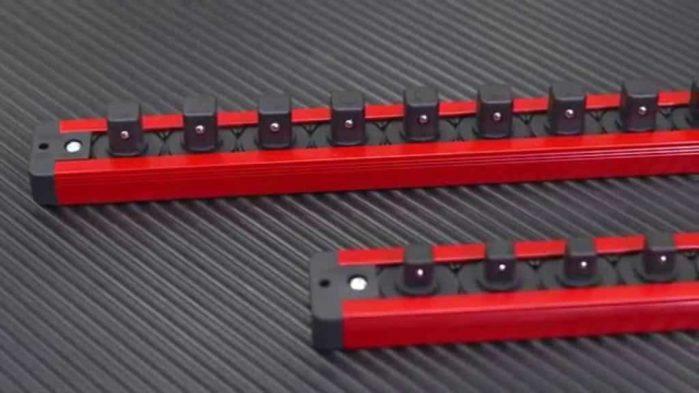 That single rail lets you store 16 sockets, which can be enough for some hobbyists. Besides the storing capacity, everything else runs smoothly for this product despite the low price. It surprisingly comes with top-notch aluminum, so durability is not an issue. Furthermore, you can choose a rail anywhere between ½ inch to a ⅜ inch, depending on your preference. My upgrade pick for this article is the MLTOOLS twist lock socket rail. This organizer looks a lot different than the others because it’s a tray and track in one. From afar, you might mistake this for a gaming keyboard because of its vibrant colors and shape. However, what you get is a high-quality socket organizer that’s a twist and lock type. The twist and lock feature safely keeps your sockets in place. And if you pair that along with the built-in rail inside the tray, you’ll get an almost perfect organizer. However, significant products come at high prices. So if you want this convenient socket rail, then you’d need to pay around 50 US dollars and above. That is why it’s our upgrade pick. Nonetheless, it’s hard to pass up a socket rail that’s easy to carry and store. Tool Sorter’s socket organizer is last on our list as the niche pick. I’m particularly labeling this as the niche pick because it’s the best socket organizer for mechanics on the go. The main reason for this is that it’s not the conventional rail and tray type. It’s purposely designed to be an organizer that you can carry and store easily. You can place this inside your car, on a desk, or even on a floor. While it’s not mountable in a workbench, it’s still convenient to use in repair shops. The only downside here is that it doesn’t have a significant capacity because it’s very portable. But that’s what makes this a niche product, it’s an expert in one field, and that’s portability for professionals. A socket organizer is usually used for storing, holding and organizing your sockets. However, more than just keeping your outlets, it can also help you navigate through your tools while you work on your project. 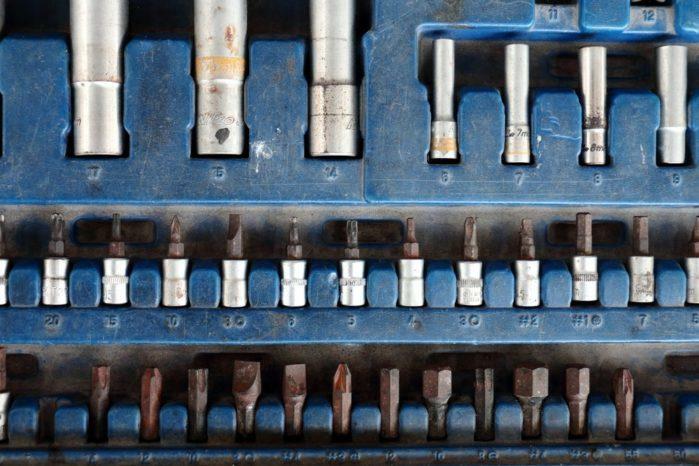 Some socket organizers feature socket magnets or clips to keep your sockets upright inside your toolbox. That is most especially useful for people who bring their toolkits out to project sites. Although a socket organizer is something that you can DIY at home, there are still a lot of advantages to getting yourself a store bought one. However, before going on a splurge to buy yourself a socket organizer, there are some things you have to consider first. Sometimes, just because a socket organizer “stores” your sockets well doesn’t necessarily make it the best. Just as we mentioned earlier, there are some things we think you might want to take note of first. That is one of the first few things you need to look into before buying a socket organizer. It is crucial, especially if you expect the socket organizer to be able to store a lot. If you are planning to store a lot of sockets, then choose a socket organizer with more capacity. Check its weight capacity, the size the outlets it can accommodate as well as the types. Some are versatile enough to put slots for different types and sizes. However, if the size and type of sockets you have are not compatible as mentioned in the organizer specifications, then it would be best to skip that product to avoid wasting money. Another thing you might want to check into, would, of course, be, the quality of the organizer. That is one of the most critical factors, especially if you want your socket organizer to withstand wear and tear. Ideally, you can research first about the materials that make a good socket organizer. Is it durable enough to remain intact even if you accidentally drop it with the sockets? Does it quickly accumulate dirt, dust, grease or scratches and cracks? Do not be afraid to ask about these things to the seller or salesperson in the store. Know what you have to know. Most especially, the socket organizer seems to be a little pricey. And third, would be the key features of the socket organizer. Different brands come up with various unique features to separate them from the rest. With this, you can choose which single feature would be most useful for you. Just as we mentioned earlier, some organizers come with magnets or clips to keep your sockets in place. There are some that can mount to walls or workbenches. Even better, there are even those that come as a combo which can let your store other tools aside from the socket. Also, watch out for brands that offer warranties and money back guarantees. Lastly, is the type of socket organizer. There are five types of socket organizer: the pouch organizer, magnetic holder, rail system, tray container and the drawer insert. If you are looking for something can be easily portable and is also versatile at the same time, the pouch organizer might be your friend. But if you are looking for a cheaper alternative, then the fascinating one might be a good option for you. Do note, however, that it needs more maintenance and cleaning. As for something that's both easy to maintain yet high in capacity, then the rail system it is. However, be prepared to spend some money for the installation and the organizer itself. On the other hand, the tray container might be the best at organizing your sockets in a more specific manner. You can even fit it in toolboxes making it very compact and highly portable as well. And finally, if you keep a lot of sockets and you use them, for a living, then the drawer insert might be helpful to you. Not only does it help you organize your sockets better, but it is also large in capacity, making it ideal to use for professionals. Socket organizers are an often overlooked part of a hobbyist or a professional’s toolset. Nonetheless, it has a significant function which can make or break your socket organization. Think of this as a planner. 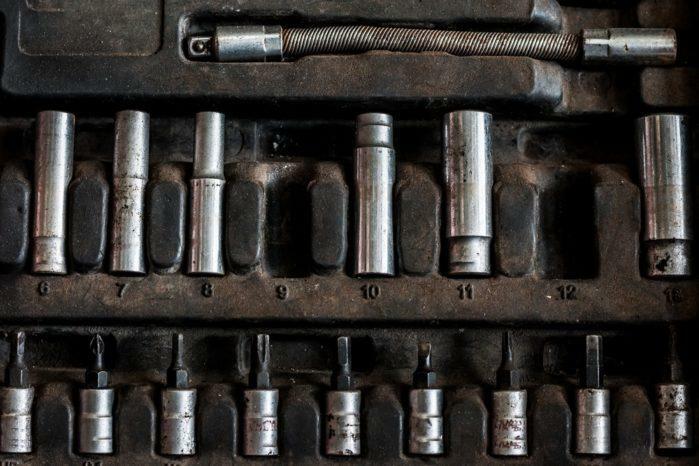 Without it, your mechanic hobby or work might get ruined. With that said, the winner of my list is the Hansen Global 92000. With its massive storage capacity, quality, and affordability, it gets the number one spot. However, other significant products can cater to your needs. So don’t hesitate to check them out. Good luck!